My reading at Airdrie Public Library February 10, 2018 click here to listen. Laurel Rowan is back in Alberta and determined to save the wild horses near her from from being culled and ending up at the meat packers. 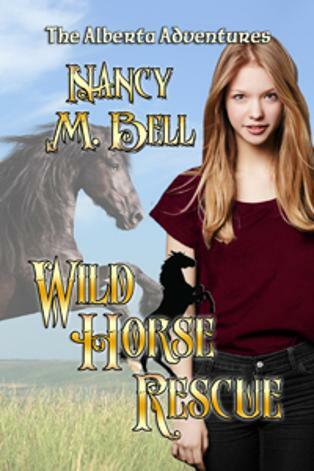 Wild Horse Rescue releases September 21, 2018 Click the cover to be taken to the buy links once the title releases. Click on my name plate above to see my other titles available through BWL Publishing Inc.
September 21, 2018 Wild Horse Rescue Book 1 in The Alberta Adventures releases. 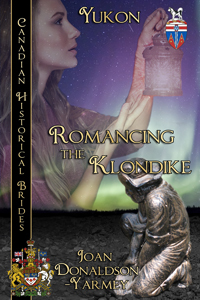 October 14, 2018 Reading from the Canadian Historical Brides authors at Carstairs Museum. December 12, 2018 7pm Workshop at Airdrie Public Library World Building. Canadian Historical Brides Blog I blog here on the first of each month. Please come say hi. We're celebrating Canada's 150th Birthday with the launch of Canadian Historical Brides from Books We Love! This is a series of books each set in a different province or territory and written by Canadian authors. 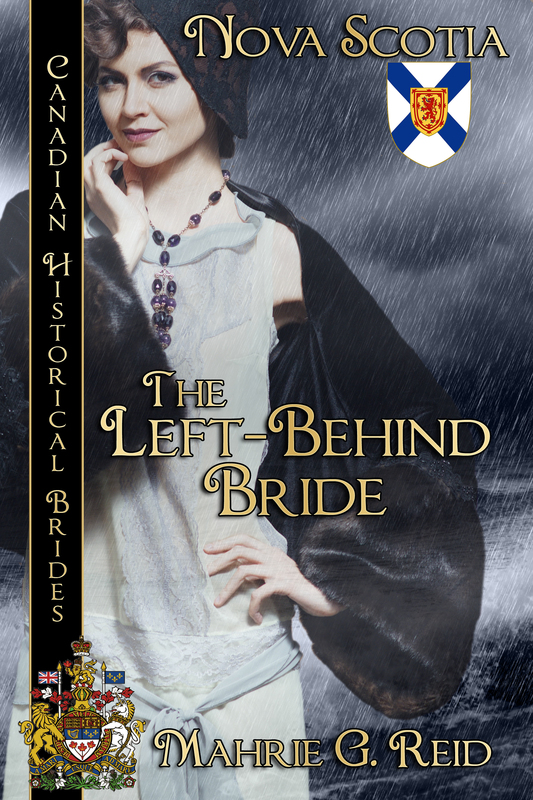 The first book Brides of Banff Springs is set in Alberts in the 1930's. It released December 31, 2016. 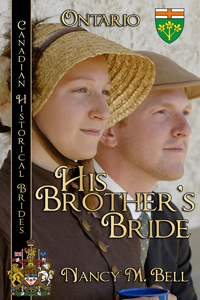 His Brother's Bride is the second offering, set in WW1 Ontario, it released March 1, 2016. This one is my contribution to the series and draws very roughly on my grandparent's story. New books inthe series will release throughout the coming year and into early 2018. You'll not want to miss any of them. 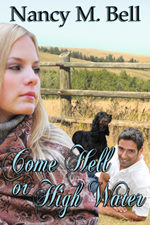 Romancing the Klondike is now available, as is Barkerville Beginnings. Pillars of Avalon, the New Foundland title is scheduled for release July 1st. Happy Birthday Canada! Cover Reveal! 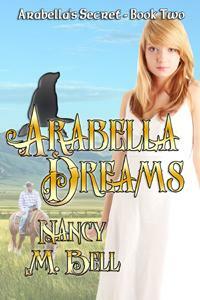 Arabella Dreams Book 2 in Arabella's Secret released April 20, 2016 Available wherever good books are sold. Exciting news! Storm's Refuge is an EPIC 2016 finalist! Cross your fingers for me. My latest interview is with Steve DeWinter of Old Dog New Trx. Come visit with me and find out what I've been up to. You never know what I'm going to say! Books We Love releases Christmas novella quintet. 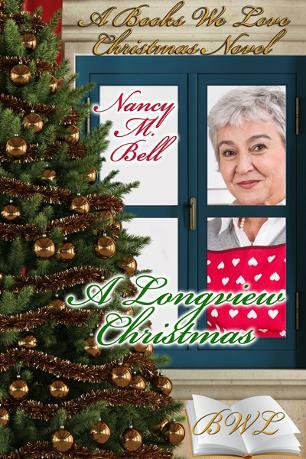 A Longview Christmas is my contribution. Get yours today and find out what matchmaking schemes Mary has up her sleeve. Cover Reveal! Michelle and Cale's love story continues. Storm is back along with Crazy Puppy and Doc and Mary. More info on book page in this site. Be sure to drop by the Books We Love Blog on the 18th of every month to see what I've been up to. Nice Review for A Step Beyond! The second book in the Cornwall Adventures YA series has received a Five Star review from Readers' Favorite Reviews. 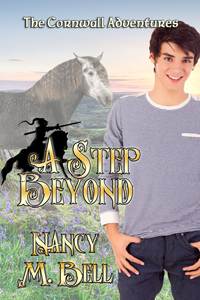 A Step Beyond by Nancy M Bell is the story of what happens when Gort finds himself as another version of himself inside the legendary world of King Arthur. This happens when, in current real life, his abusive Uncle Daniel attacks him and Gort slides into unconsciousness. In this other world, he is brave and adventurous Knight Gawain and his war horse is Ailim. Ailim and the other horses have the ability to mind speak to each other and to certain humans, and this gift proves useful when Gawain sets off to help King Arthur rescue his Queen and the Lady Nuina from the wicked King March. The adventure takes place in the ancient Land of Lyonnesse which, according to legend, was in place of the sea between the coast of Cornwall in England and the Isles of Scilly. Gawain’s race across country involves mystery, danger, sword fights, and romance as he discovers the connection between this mythical world and the real world. What a brilliant idea for a story. I loved the link to the King Arthur legends and the idea of past lives where different versions of our real selves play out their lives in different ways. Gort’s present life as a victim of abuse needing safety in order to heal is in great contrast to his earlier existence as a courageous Knight of King Arthur. But knowing friends from previous times are still present as different people in his current life gives him the courage to face the pain and move forward. Bell’s A Step Beyond is a well written imaginative story that will appeal to teenage readers who like a mixture of legend and fantasy. The plot unfolds intriguingly with much time devoted to the journeying from one location to another. Gort (or Gawain) is a likeable character who matures and grows through the adventure until he fulfills his mission. I like the idea of telepathy as a means of communication between the horses and their owners, and thought it was a lovely development on the way animals can often sense their owners’ states of minds. The story comes to a satisfying end with the sense that life will unfold in a better way for Gort. On Sunday July 12, 2015 I was privileged to read some of my poetry at Stephan Stephansson House an Alberta Historical Site. It was wonderful fun and what a lovely venue. Have a listen to my interview with John Fioravanti for Rave Waves Blog Talk Radio. I'm talking about the Cornwall Adventures series and the stories behind the stories. Look what Laurel's Quest was awarded! *happy dance* Read the review here. Trailer for No Absolution created by VLM Noir Films. Go Gently, The third book in The Cornwall Adventures has a cover! Michelle Lee has produced another perfect cover. In the background is the magical Nanjizal Bay. Storm's Refuge, Book One in the Longview Romance series has a new cover by Michelle Lee as well. The new and improved version of this story is published by Books We Love and available now! Marvelous New cover by Michelle Lee for A Step Beyond The second book in the Cornwall Adventures is available from Books We Love. Laurel's Quest is available in print and ebook. The second book in The Cornwall Adventures, A Step Beyond, is available in ebook and print. Go Gently is available in ebook and print. 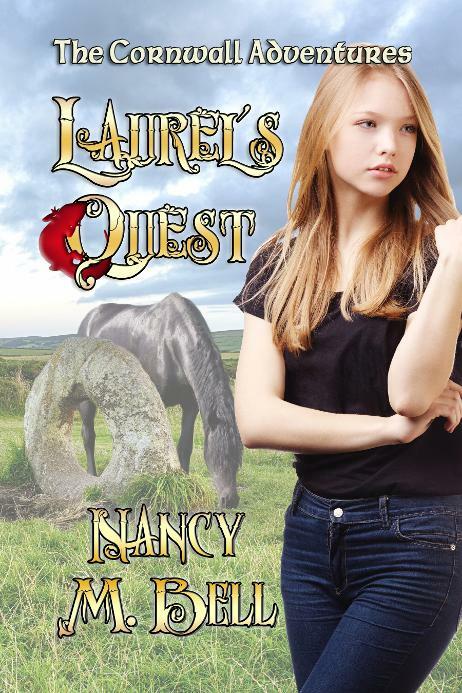 Hi, just wanted to share the new cover for Laurel's Quest. Michelle Lee has done a great job. You can see her other work here. Laurel's Quest will be available from Books We Love in the Fall of 2014. You can see my author page here. Welcome to my webpage! They say a change is as good as a rest. As of July 4, 2014 I have left MuseItUp Publishing. My books will be re-released in the fall of 2014 from Books We Love Inc. They will have new cover art and slightly different titles as well as some updated information. I am looking forward to this new venture. 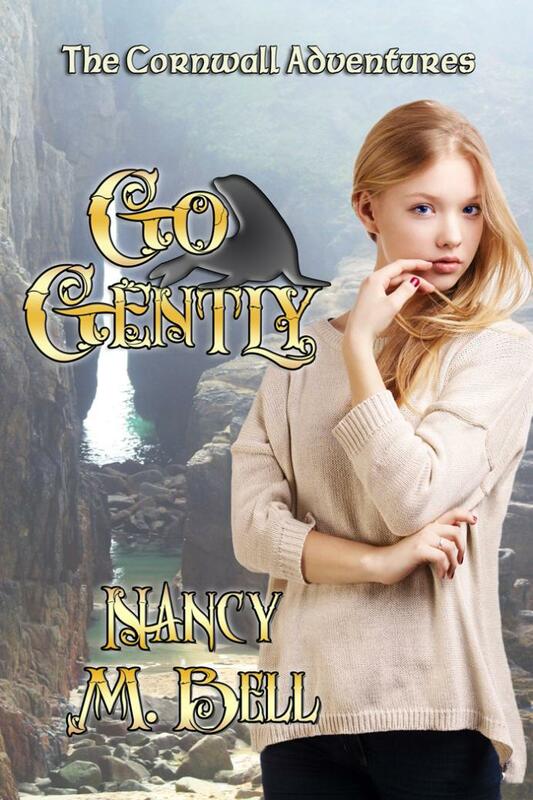 I am also working on a new book in the Cornwall Adventures series called Go Gently. For those fans of horror keep an eye out for No Absolution, a Jack the Ripper tale with a definite twist. Because of my departure from MuseItUp Publishing I will be taking down all the current covers of my books so please keep an eye out for the new ones! Preditor and Editor Poll Results are In! 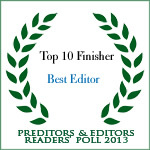 I'm happy to announce that I placed in the top 5 in the Editors category of the 2013 Preditors and Editors Poll. Thanks to all who voted for me, what a wonderful tribute from my authors. MuseItup Publishing was also voted #1 in the Book Store category. Another year of Surrey International Writers Conference has come and gone. What a wonderful time I had at SIWC2013. If you haven't been to this event, mark your calendar for the 2014 event. I represented MuseItUp Publishing taking author pitches and the quality of the writing was excellent. Kudos to the SIWC Board for a great weekend of inspiration and fun. The theme this year was Heroes and Villians. 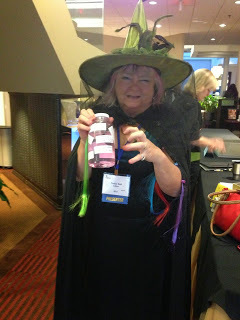 Here I am as the Evil Editor with my jar of Souls of Anguished Authors. Bwwaaahaaaaaa! Friday night costume event is always fun and big hit. Corb Lund wrote this song to honour everyone in southern Alberta affected by the floods and to pay tribute to the thousands of volunteers who made sure Calgary Stampede 101 went ahead as planned. Thousands of volunteers have helped clean up mud and debris in Calgary and all across sourthern Alberta. Please donate to the Red Cross to help out. Still a lot of work to do in High River, Bragg Creek and Canmore. Christmas Storm was a finalist in the International Digital Awards hosted by OKRWA. It finished fourth in its category! More great news! My short story Heart of the Hawk has won a SILVER MEDAL in the Creative Writing category Alberta +55 Summer Games. I don't have a date for the Medal Ceremony yet but will post pictures once I have my medal in my hot little hands. 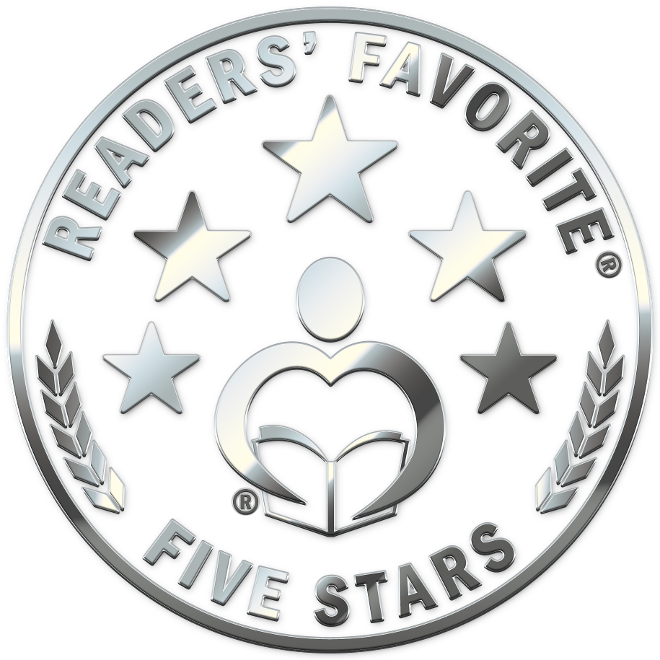 Just got this great 5 star review for Laurel's Miracle--http://ladybug-lins-reviews.blogspot.ca/2013/02/laurels-miracle-by-nancy-marie-bell.html?spref=fb Please drop by and leave a comment! 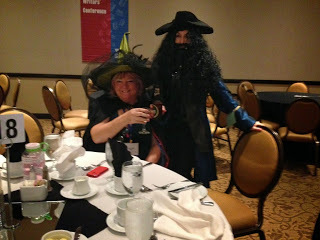 SIWC2012 was a blast. 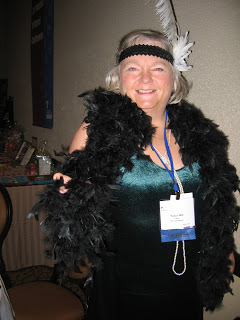 Met some amazing authors and had a great time dressing up as a flapper for Roaring Twenties night. Mark this event on your 2013 October calendar and come join the fun. A STEP SIDEWAYS was a finalist in the YA LONG category of the OKRWA International Digital Awards. This is A Step Sideways first award and I am very proud of it. A Step Sideways is a story of a young man's search for self and his courage on this incredible journey. You can read an excerpt on the A Step Sideways page. 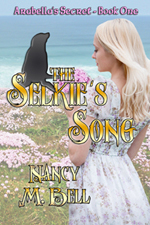 Cornish myths, legends, and magic make this a lovely coming of age story! With a myriad of myths, legends and magic, this story of a young girl’s quest to save her mother’s life, is fresh, original, and was a joy to read! Finding herself in a new and unfamiliar place (Cornwall, UK), Laurel must not only solve a series of riddles steeped in Cornish legend, but she must find the courage to face an ancient magic that is quite beyond her imagination. Laurel quickly bonds with an unlikely trio, Coll, Aisling and Gort, and together they work hard to unravel the mystifying clues set before them, while meeting some most interesting characters along the way. Adding a deeper layer to this tale, is the modern day difficulties each of foursome face within their own daily lives, including prejudice, abuse, and bullies. Laurel and her friends slowly discover their inner strengths which will ultimately transcend them beyond each of their fears. Once again Ms. Bell has rendered the imagery of her setting beautifully, and furthermore, I was literally spellbound by the smashing climax and finish! Bravo! Laurel's Miracle was a top ten finisher in the 2011 Preditors and Editors Poll coming in at sixth place! Watch for my interview on Karen Cote's Chaise Lounge. You could win a Travellling Mabels CD just by leaving a comment. The link will be posted here once the interview is live. Want to hear what I really sound like? You get the chance as I talk about Christmas Storm through my oh so cute avatar created by darling Karen. Don't miss it. The third book in the Cornwall Adventures is a work in progress, the tentative title is Coming Home. Laurel is back in Cornwall and there are some surprises waiting for her. I am thrilled to present my trailer for Laurel's Miracle produced by the talented Suzannah Safi. Or see it below. Pop over and cast an eye over Calamity's Corner, a great little ezine and see who is on the front cover. Come visit me at Karen's Chaise Lounge, Princess Emily is there too. Learn more about me and Laurel's Miracle. Hope to see you there! Isn't the cover beautiful? Thank you to Kaytalin Platt for capturing the essence of the story perfectly. Come and explore and read excerpts from my new novel Laurel's Miracle. Discover more about the mysterious ley lines, the legends of Glastonbury and the stone megaliths and how they influenced the story. Explore the hidden meanings of Laurel, Coll, Gort and Aisling's names. Read the legends that inspired Vear Du, Gwin Scawen and Morgawr. Don't forget to visit my poetry page and check out what non fiction projects I have on the go. 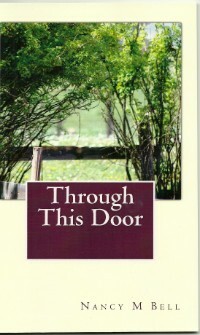 THROUGH THIS DOOR is now available for purchase. Price is $10.00 plus $6.00 shipping. Local pickup is available as well. This volume contains 45 poems by Nancy M Bell. To purchase please email me, contact info is below. I still have work to do to complete Arabella's Secret but I have left her in a good place at the moment with her head on Vear Du's lap so I think she will be fine until I can continue her story! I have an adventure for Coll and Laurel simmering on the back burners but they will have to wait until I finish what am working on already. All contents of this site are copyright protected, all rights reserved. The use of any part of this site, reproduced, transmitted in any form or by any means electronic, mechanical, recording or otherwise, or stored in a retrieval system without the prior written consent of the publisher is an infringement of the copyright law. Wonder why there is a seal on my page? Check out the Ley Lines, Legends and Names page to find out. You might be surprised! Don't forget to enjoy the on line magazine Earthsongs , published by Elder Grove Press. Parallel Community is a group that started in Cornwall UK and has spread to all corners of the world. For more information see thier website. Our mission is to set in motion a parallel community of souls around the world - a network that spreads wherever it is needed. Together through mutual help and support, we will generate the energy to make significant changes.